Reconciliation is a powerful but very underused sacrament. It can be tricky to prepare children to receive this sacrament when parents hardly ever take advantage of it. This is a perfect opportunity to teach parents about the power of this sacrament and coach them to teach their children about being sorry, forgiveness, and grace. This eResource product includes six sessions of immediate preparation for First Reconciliation, as well as a parent retreat and parent-child final retreat/rehearsal. It is designed to coach parents alongside their children, utilizes effective handouts, explicitly brings the faith home, and helps children and parents enter into deeper relationship with Christ. Nothing is more important in the formation of a child than to have his or her parents be part of the process. 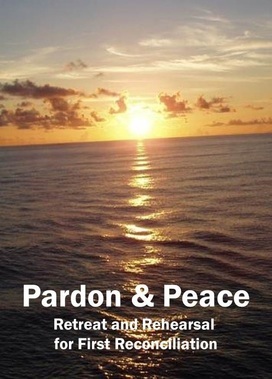 Pardon and Peace is a complete resource, including everything you need to succeed. It provides handouts for both parent and child, matched to allow the parent to become the final teacher in the preparation for First Reconciliation. This is a dynamite resource that will help make the celebration of this sacrament a holy and powerful event in your parish. 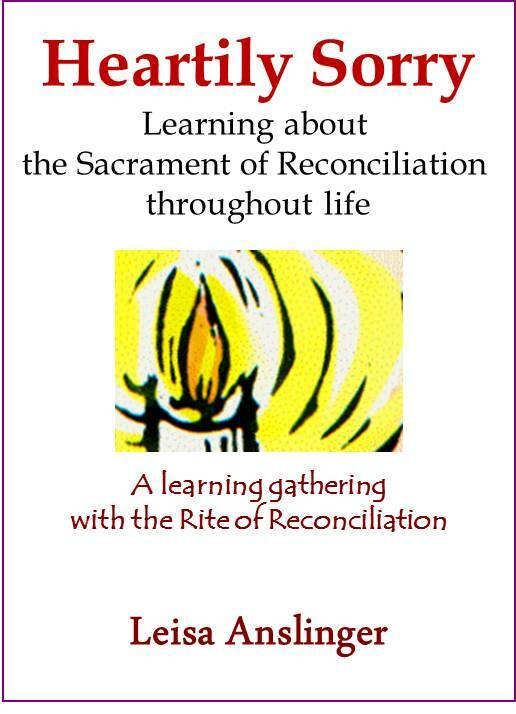 It includes an excellent walk-through of the Rite of Reconciliation with a take-home handout for the families. Includes the full outline, plan, talking points, handouts, and prayers. Price includes license to reproduce (or email) within your own parish community. 37 creative and formative centers for children preparing for these sacraments. Children and their families share church teaching, Scripture, prayers, conversation, and a fun activity reinforcing the teaching. 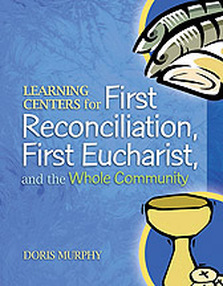 Plus 8 "gatherings" for the whole community: 4 for First Reconciliation and 4 for First Eucharist. 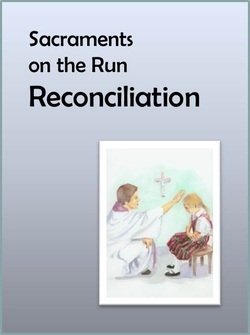 Parents will welcome this clear, concise explanation of basic Catholic teachings about the sacrament of reconciliation. It describes the guidelines and procedures for a child's first confession, and provides practical suggestions to help parents make the child's initial reception of the sacrament a holy, treasured, and memorable event. It contains answers to frequently asked questions -- along with prayers and scripture readings that pertain to forgiveness and reconciliation. Parents can use this book as a primary resource for learning about the sacrament and teaching their child about confession. We’d like to put this marvelous book in the hands of every parent with a child making his or her First Reconciliation in the Church today. Follow the link to view the table of contents, introduction, and a sample chapter. This accessible reproducible flyer is a great way to learn about the sacrament. Use it when encouraging parents to register their children, as handouts at sacrament prep sessions, in classes, or even as a take-home item during other meetings. This is a great way to help young parents learn to speak with confidence about the sacraments. 8 1/2" x 11" one-fold, two-sided flyer. Follow the link to view a sample from this series. How many times do we hear adults tell us that their first celebration of the Sacrament of Penance was their last celebration of the sacrament? Or perhaps that they participated when they were Confirmed, and have not done so since their youth. Encouraging and forming people to participate in the Sacrament of Penance on a regular basis, and to live a life that is reconciling, seems a constant topic among pastoral leaders. We wonder what it will take to help people recognize the true blessing of regular participation in the Sacrament of Penance, and we know that catechesis must be part of the answer. Heartily Sorry will lead you through the preparation and implementation of a parish catechetical gathering with older children (grades 4 and up), teens and adults, preceding a communal celebration of the Sacrament of Penance by a few moments or a few weeks. We have included a handout for home use as well as intercessions and an examination of conscience for use in the communal celebration. 12 page document in Word or PDF. What is forgiveness? Why is it so hard to forgive? 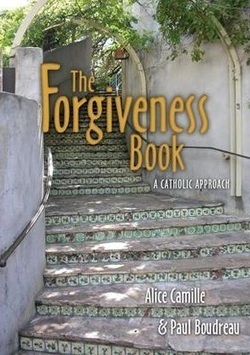 Award-winning authors Alice Camille and Paul Boudreau address these questions and many more by thoroughly examining what Scripture has to say about those who "trespass against us," and what it takes to accomplish the difficult act of forgiveness — all from a distinctly Catholic point of view. How do we accept forgiveness? The Appendix includes an examination of conscience, prayers of forgiveness, Bible verses on forgiveness, important books on forgiveness, and a list of films that focus on forgiveness.